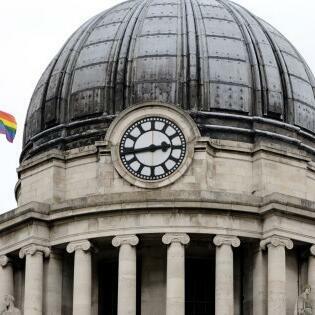 Audioboom / Greg Pickup from Derbyshire LGBT+ has told Capital he's worried Brexit and Donald Trump's Presidency could lead to more attacks on gay people as it can legitimise hostilities. Greg Pickup from Derbyshire LGBT+ has told Capital he's worried Brexit and Donald Trump's Presidency could lead to more attacks on gay people as it can legitimise hostilities. LGBT support workers in the East Midlands have told Capital they're concerned about the potential for more attacks on gay people after Brexit. Figures show homophobic hate crimes have risen by around a quarter across the region between 2015 and 2016. Greg Pickup from Derbyshire LGBT+ has been telling Capital about his worries. Greg Pickup from Derbyshire LGBT+ has told Capital he says calls by a campaign group for parents to protest against LGBT inclusive lessons hark back to laws that meant schools couldn't approach LGBT issues.